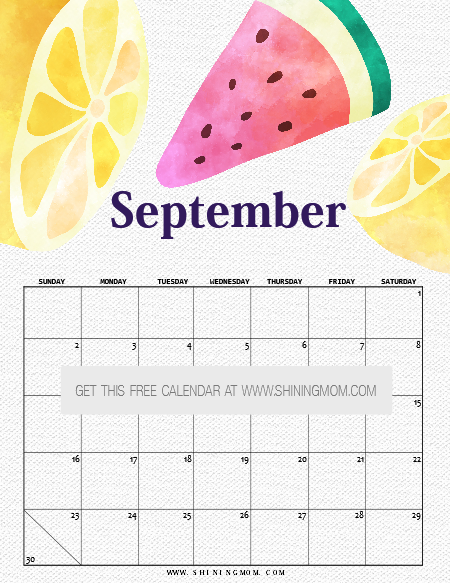 Beautiful September Calendars for FREE Download! Getting ready to organize your September plans? 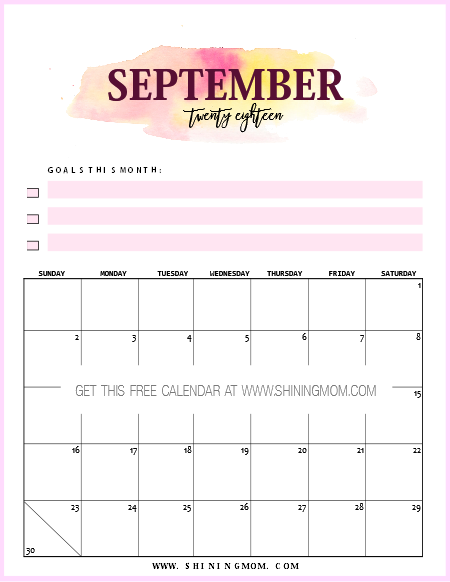 You might want to download these free printable calendars that I am sharing away today. They’re great to use as a month-at-a-glance planner. Here, take your pick! The first calendar that I have for you will help you stay focused with your goals all through the month. It comes in clean and minimalist style that’s easy on ink. It’s excellent to use as a desk calendar in your workplace! 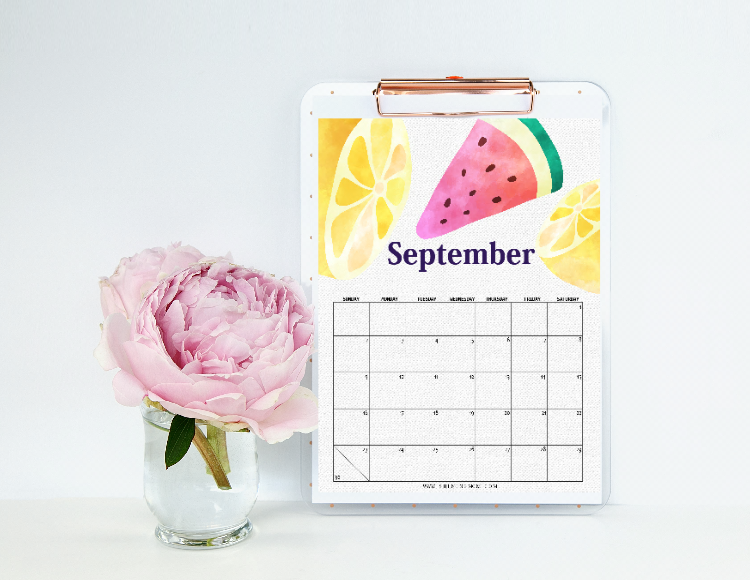 Next up is a vibrant calendar designed to be used in your kitchen. I used beautiful graphics from Creative Market in designing this. Write your meal plans here or perhaps your family chore assignments! It will definitely look cute on your fridge’s door! Looking for a calendar for your kid’s study table? Print this out for her! It can help her organize school assignments, schedules and more! And oh, I have also previously released a complete school binder in case you need one! Lastly, if you’re looking for a calendar with a verse from the Bible, check out this next one that I have for you. It will inspire you to take delight in the Lord in everything that you do. Beautiful! That’s all for now. Which of the free calendars are you printing? I usually print more than one for myself(I have a calendar for the kitchen and for my blog). They’re really useful in organizing my month plans. Get yours today, too! 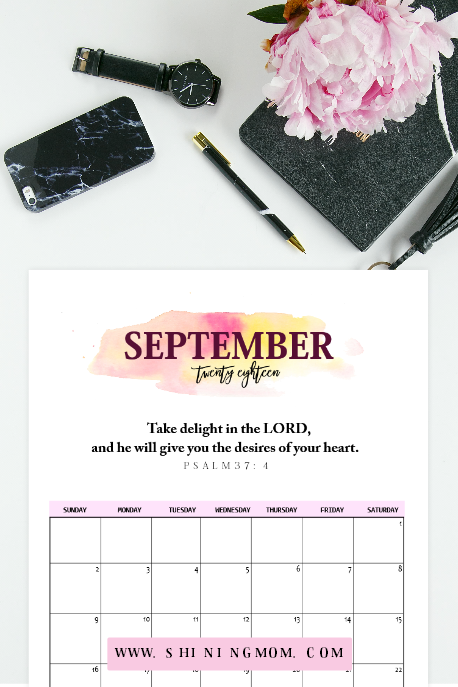 You may instantly download the free September calendars HERE. You might also want to check out the first set of calendars that I have previously released with 12 September calendar designs to choose from, all for free! Have an amazing September, friends! 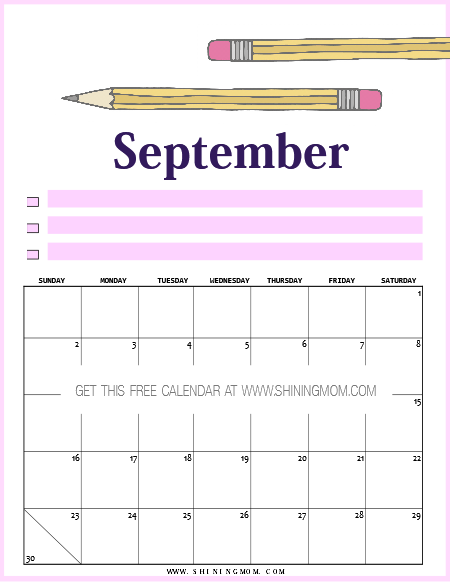 « FREE Planner for September: Print Yours Today!